Whether you are an adrenaline junkie or a speedboat enthusiast, there is nothing like thrusting into high gear and feeling the boat’s power and the turbulence of the wind as you navigate it. 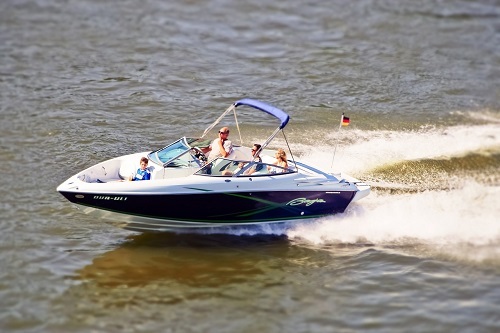 If you are one of these need-for-speed people, you will be happy to learn that there are hundreds of worthy speedboat-friendly waterways all across the United States. However, before we fill you daredevils in on these locations, it’s important that if you haven’t bought a GPS and other safety equipment that you do so before embarking on these dangerous adventures. Here are the five best spots for high-speed marine boating that you must experience at least once in your lifetime. Just beyond Miami’s luxury boutiques and rows of fine dining sits the majestic Atlantic Ocean. For locals and tourists alike, thrill seekers entering the Bayside market are there for a local offshore speed boating experience of a lifetime. For those who are arriving in Miami via boat, this location is also perfect for visitors who want to enjoy the freedom of the speed on open waters while also exploring Miami district favorites like South Beach, Star Island and Fisher Island. This type of location gives you all the twists and turns of an ocean setting while also allowing you to take in the splendor of the coastline scenery. For boaters who love a location that does not limit horsepower, speed junkies recommend the Salt Fork State Park in Cambridge, Ohio, as the perfect adventure spot for a number of reasons. You have open boat camping in several no-wake zones or at any of the 429 docks. It also offers the convenience of restaurants, concession stands and fueling stations. This location is the perfect state park for all-in-one family boating, fishing and swimming, which is hard to compare to some coastal waterways experiences. Just the mention of the New York Harbor brings to mind the Statue of Liberty or Ellis Island. For people who like to accelerate and take on the big city, the mention of the New York Harbor or the Hudson River brings to mind thrill rides like the Beast or Thriller. 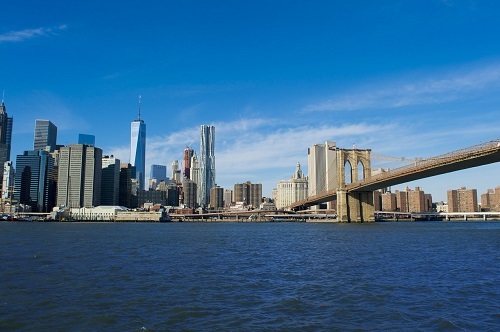 If you intend to arrive in your own boat, you have access to a number of docks including 79th Street Boat Basin, Chelsea Piers, La Marina (dining) and New York Skyport Marina. Lake Havasu is an Arizona hotspot. It is a glorious area that does not set speed limits except in the no-wake safety zones. This spot is also ideal for boaters who love the natural outdoor setting of coves and canyons while also enjoying the convenience of picnic areas and modern amenities. You also get your fill of velocity while also enjoying wildlife, unique landscapes and boat-worthy attractions that blend adventure and thrills. It is little wonder why the Great Lakes made this list. Michigan has dozens of lakes that are prime for speed seekers. Lake Michigan borders Illinois, Indiana, Wisconsin and Michigan. Each area offers varied water conditions that make the need for momentum even more exhilarating. From steep waves and mighty winds to the choppiness of its water, you are guaranteed a myriad of emotions as you navigate it. This entry was posted in Water Sports and tagged Boating, Marine Boating, water sports. Bookmark the permalink.